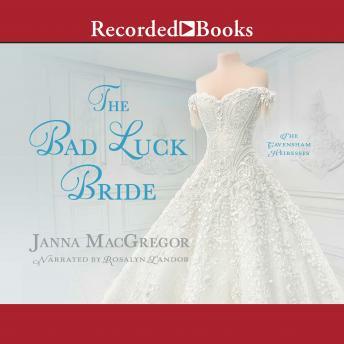 From an emerging new voice comes The Bad Luck Bride, a Regency romance that begins with a cursed bride and a plot for revenge. Alexander Hallworth, Marquess of Pembrooke, will not rest until he gets vengeance on the man who destroyed his family. Just one more piece needs to fall into place for Alex to succeed: he needs to convince the man's fiancee, the tragically beautiful Lady Claire Cavensham, to marry him instead. Lady Claire's "curse" has left her one step away from social ruin: her past three engagements have gone awry, and now her fourth one is headed the same way. Before anyone can learn of her latest scandal, she's caught in an awkward situation with Alex who then shocks everyone by announcing their engagement. Forced into marriage, Alex and Claire find themselves unexpectedly drawn to each other. But as the two of them grow closer, will the truth of their union shatter their fragile feelings or is love strong enough to survive?